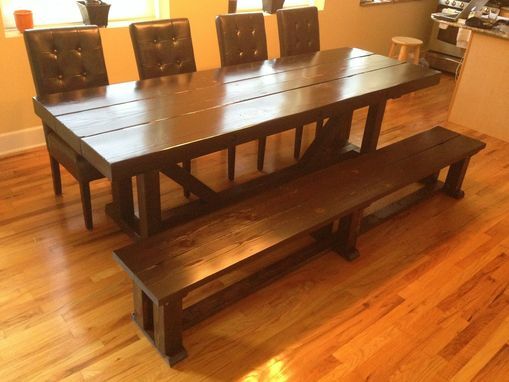 This client provided the Douglas Fir 4x12's for the table top. 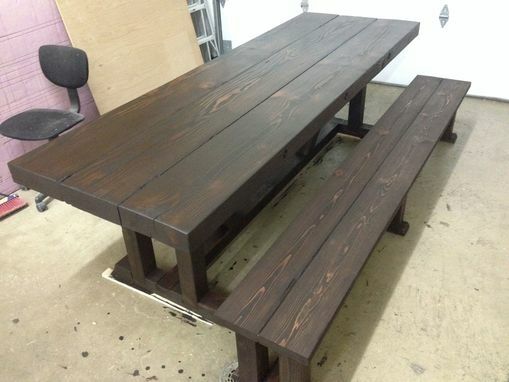 He wanted a rustic indoor dining table. 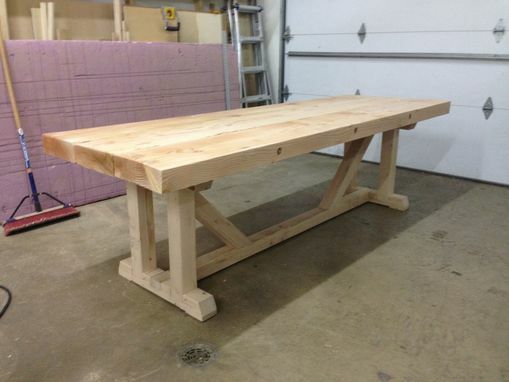 I designed a suitable base for the massive top. I chose 4x4's for the base construction. 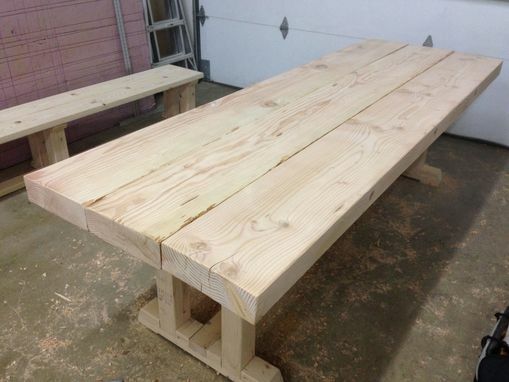 I used 2x10's for the bench seat and a combination of 4x4's and 2x4's for the benches base. 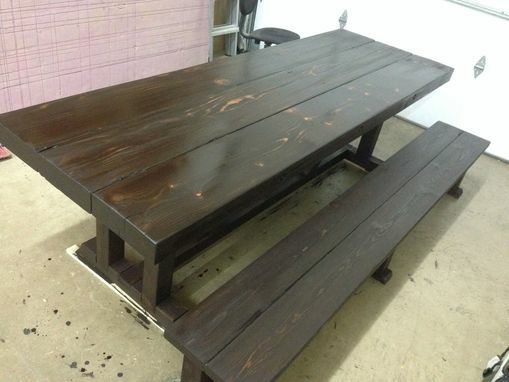 We went with a Java gel stain and several clear coats of semi-gloss polyurethane. I delivered it just in time for Thanksgiving.